Over the years, we’ve regularly been asked if we can supply new lids for the Revere Ware stainless steel mixing bowls. Over time, the plastic lids wear out as the plastic ages, and they crack. Unfortunately, we don’t have a line on replacement lids of this type. 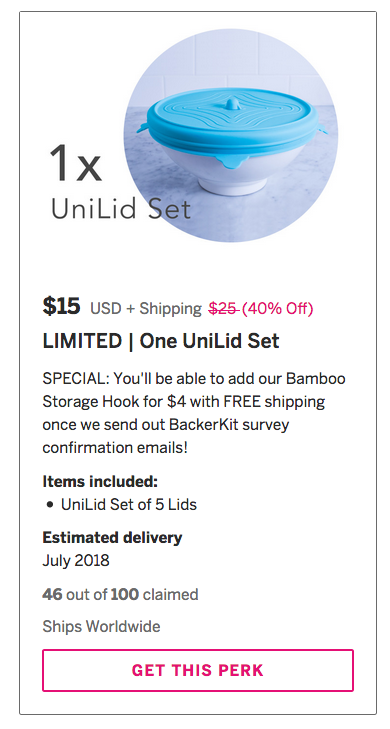 However, we recently came across an Indiegogo campaign for a new type of lids that is made to fit different sizes; The Unlid. While we don’t have a set of the mixing bowls we might try the lids out on, they sure look like they will work. 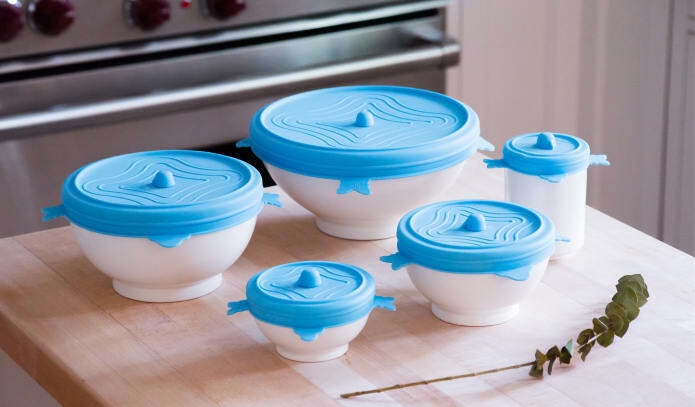 The lids are rubber and stretch to fit many different sizes snugly. The only downside is that they aren’t expected to ship until May 2018. We’ve had an number of people ask us whether these will fit the Revere mixing bowls and how they can get them. In answer to the first question, we don’t know for sure if they will fit. They look like they will from reading the specifications. We will only know once they ship and someone tries them out. In term of timing, we originally reported that these were expected to be available in May 2018. As of April, the latest update from them doesn’t make a May delivery date likely, but perhaps later this year sometime. Please check the updates page on the campaign for the latest news. In terms of how to get them, the only way we are aware presently is to sign up for one of the perks on the campaign. These have started shipping as of July and it appears you can still purchase them here (I just did). Just click on one of the perks to expand it and then select Get This Perk. Let me get this straight. You sell the bowls with lids but claim you don’t have a line on lids. I don’t buy it. You just want people to buy new bowls. We actually aren’t the company that makes the cookware. The Revere Ware brand is owned by World Kitchen (which also owns Pyrex and Corning). They sell cheap knockoff cookware now under those brands. They don’t sell any replacement parts at all for cookware they’ve made past or present. We picked up the baton they dropped and sell a selection of replacement parts. 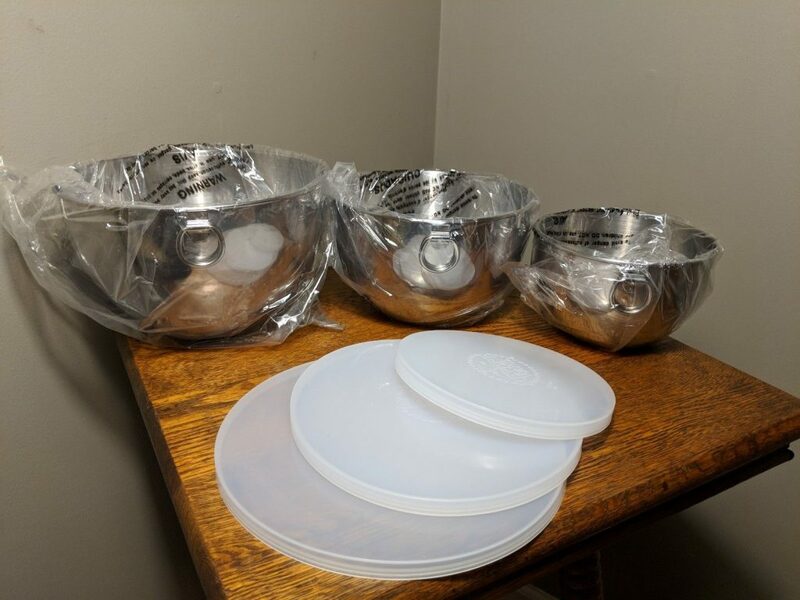 how do I go about buying these lids and will they fit the 3 stainless steel bowls that I have with the Revere Ware stamped on them????? Click on the Indiegogo campaign link above for more information, including whether they will fit your particular bowls.